Photo Order Forms with Envelopes 133 At Print EZ. Photo Order Forms with Envelopes Item No. 133 Size: 4 1/4" x 10"
No more confusions and mix ups. 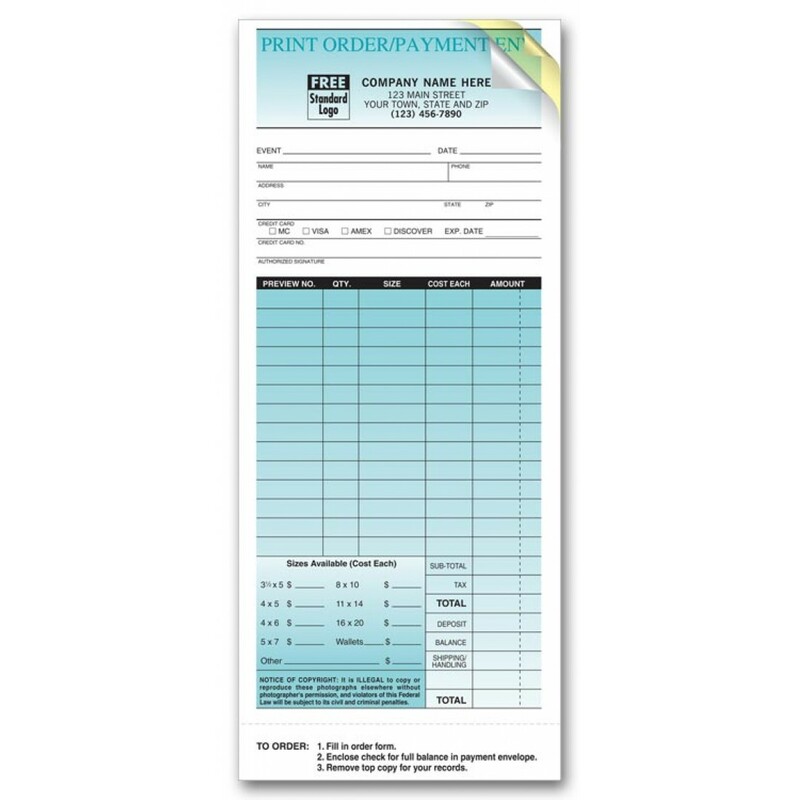 Now take your photo orders with great ease by adopting our photo order forms with envelopes. Be it the size of the photograph(s) in question or their quantity, now you can note it all on one piece of paper. The name of the event, the customer’s details, the charge for the job, everything is taken care of by this single form. Simply drop the negatives or the chip into the envelope and everything you need to know about the order will be listed on its cover. 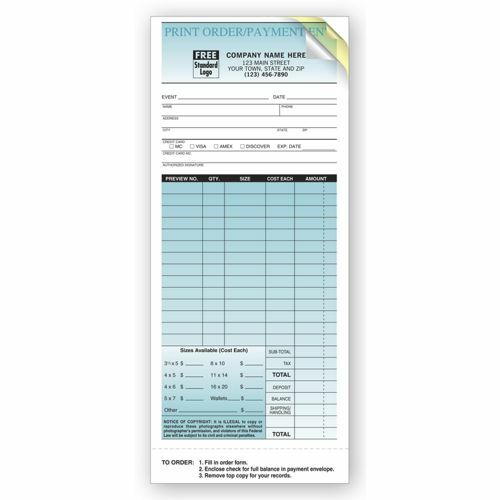 Make your job simpler all the while enjoying branded order forms with envelopes that help to create a name for your firm in several positive ways.